Privately Owned - No Corporations!! one of our main goals is to provide patients with an environment they can feel safe and happy in as they receive the high-quality dental care their smiles need to thrive. 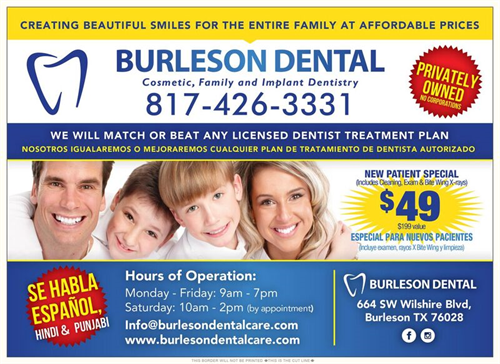 We’re not just your regular, run-of-the-mill dental office area, and we hope that shows from the first moment you step through our front doors. With the help of a skilled, friendly staff, the latest in dental technology, and a wide variety of enjoyable amenities, we make maintaining oral health a much smoother and more personalized experience than ever before! 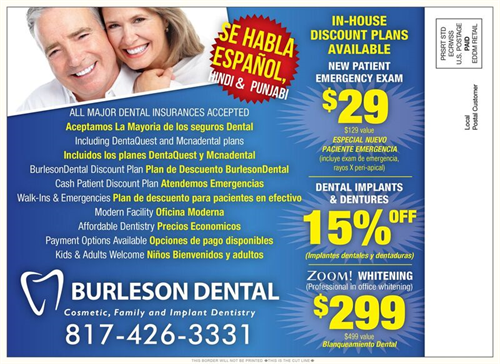 Burleson Dental | New Patient Specials!! !